When medical malpractice injuries occur in Florida, they result from a health care provider’s negligence—not the patient’s negligence. However, it is important for patients to think carefully about steps they can take to avoid medical errors from happening in the first place. According to a recent report from CNN Health, many patients do not realize it, but you can check your own medical records for mistakes and report them to your health care provider. Doing so may prevent dangerous and even deadly injuries. 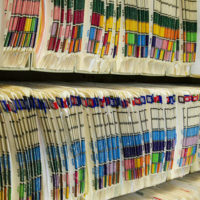 Just as health care providers make mistakes when it comes to diagnoses and prescribing medications, hospitals and clerical staff can make mistakes when it comes to logging a patient’s medical records and medical history. Sometimes these errors are minor and difficult to spot, and sometimes they are glaring. For example, the CNN Health report discusses one older adult’s medical records that contained substantial information for another patient. As that patient’s daughter explained, as a result of an emergency trip to the hospital, she saw her father’s medical file and was shocked to see “that there were pages and pages of notes that referred to a different person with the same name—a person whose medical conditions were much more complicated and numerous than my father’s.” Anyone can request to see their medical records, and it is always a good idea to do so. If you notice any information that does not pertain to you, or the names of any healthcare providers, patients, or locations that are unknown to you, it is time to take action to ensure that your file is up-to-date and is accurate. The report emphasizes that older adults need to be particularly careful about the information that is contained in their medical records. Given that seniors tend to have more chronic health issues than younger patients, and more serious diagnoses with which new health care providers need to contend, it is particularly important for older adults’ medical records to be correct. Yet we know that approximately 10 percent of those records contain errors. According to the Office of the National Coordinator for Health Information Technology, “nearly 1 in 10 people who access records online end up requesting that they are corrected for a variety of reasons.” Of course, some of those medical record errors are more serious than others. Sometimes medical records contain transcription errors that can be corrected by going over a patient’s health history. At other times, however, medical records may omit key information about a patient’s past diagnosis or drug allergy, which could end up being fatal. Even a seemingly minor error of a name misspelling or an address error should be corrected, and the records should be scrutinized for any other mistakes. If you were injured as a result of a medical record error or another mistake made by a health care provider, an experienced West Palm Beach medical malpractice attorney can assist you. Contact Lesser Lesser Landy & Smith PLLC to speak with an advocate about your case.